Good afternoon Blues and welcome to Friday’s edition of Chelsea Fresh – where we take a look at the latest Chelsea news, transfer rumours and anything else revolving around the club. First of all, Chelsea ‘fans’ have been celebrating the injury of Branislav Ivanovic after he was taken off with a hamstring injury in his National side’s Euro Qualifier. Now, whilst I would LOVE to see Ivanovic dropped for Chelsea and he has been hideous for us this season, there is no way that I will ever celebrate or be happy that one of our own has been injured. Yes it could spell good news for the team as Mourinho is reluctant to drop our poorest performer, but at the same time we need to still show class and support. Nemanja Matic was also injured in the same game, both injuries are not thought to be as serious as first suspected though and both should return soon enough. 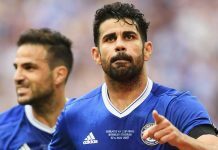 Diego Costa meanwhile has pulled away the blame from Manager Jose Mourinho for the club’s awful start to the season, by saying that he and the players are 100% responsible for the poor show. He also went on to admit that he was over weight during pre-season and took a while to get back to tip top shape. Although I agree in part, it is the players fault and many have been very poor. At the same time it is the Manager who keeps insisting on and sticking with these same players over giving youngsters and fringe players a chance – this is why they are all partly to blame here as well as the board not funding transfers. Paul Pogba looks all set to join Barcelona as the Catalans admit to their interest in the France midfielder. The Spanish giants are favourites to sign Pogba from Juventus as the player wants to the move as well, pretty much ending Chelsea supporters hopes of singing one of the best midfielders in world football. Finally, strong sources in France are claiming that Paris Saint Germain defender Marquinhos is the number one target for Jose Moruinho in January, and the Chelsea board will fund this and more. The 21-year old Brazilian International is one of the best young defenders around and is seen as a more realistic option to signing John Stones from Everton, as the club and Manager Roberto Martinez expected to stand firm on this in January and beyond. Previous articleChelsea Fresh – Updates on Charlie Austin and £37 million to oust Mourinho!